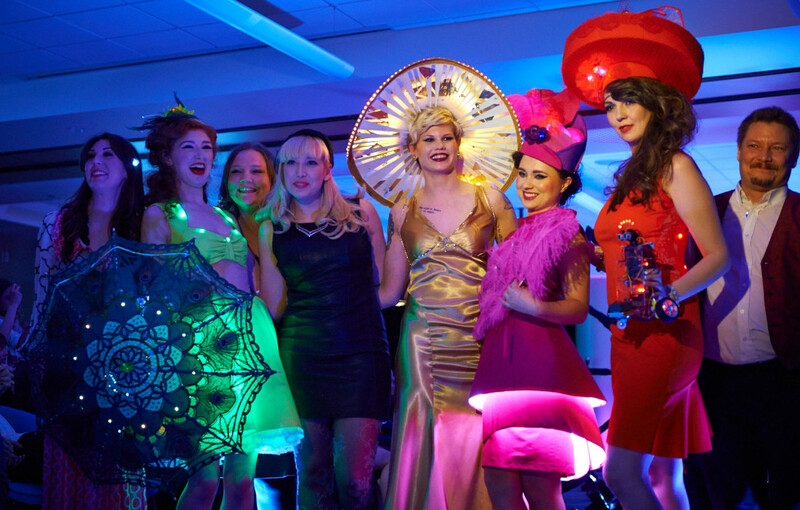 MakeFashion | Help send Illuminated Vintage to Rome MakerFaire! You are here: Home / Wearable Technology Blog / Events / Help send Illuminated Vintage to Rome MakerFaire! Help send Illuminated Vintage to Rome MakerFaire! Stacey and Kenzie, creators of Illuminated Vintage have been invited to MakerFaire Rome. The team has created an Indiegogo campaign to help cover the expenses of travel and shipping their pieces. Perks for sponsoring include free workshops, illuminated jewelry and custom-made hairpieces by the Illuminated Vintage team. http://www.makefashion.ca/wp-content/uploads/2014/03/JDP0707.jpg 1181 1850 Chelsea Klukas http://www.makefashion.ca/wp-content/uploads/2016/03/makefashion_logo.png Chelsea Klukas2014-09-21 18:13:262014-09-19 18:20:13Help send Illuminated Vintage to Rome MakerFaire!